I.M. 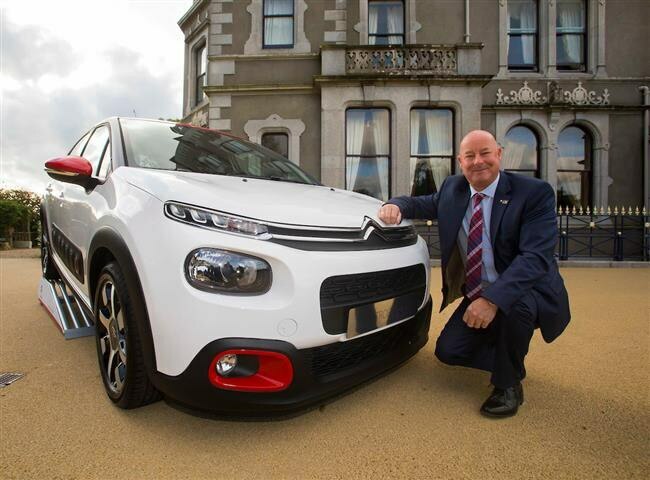 Group, the importers of Citroën in Ireland, has announced a network expansion project for 2017, as it seeks to appoint up to 7 new dealerships to its expanding network. Together with the range of Citroën vehicles and with IM Group’s investment in personnel and improvements to local infrastructure and systems this is an exciting time to join the Citroën Network. Currently, the group has a network of 20 authorised sales dealerships and a further 6 authorised repairers across the country for Citroën. The initial focus for new dealer appointments will be aimed at South Dublin, Cork East and Wicklow, with the group seeking to secure partners also in South Tipperary; Cavan/Monaghan; Longford/Roscommon and Sligo / Leitrim. The announcement of this network expansion project comes in the wake of an exciting final quarter for Citroën, with the major launch of its ground-breaking unique New C3, the New 8-seater Spacetourer, alongside the award-winning New Dispatch van. Citroën vehicles have always been synonymous with comfort and this continues to be at the core of product development with the Citroën Advanced Comfort programme. As Europe’s leading low CO2 manufacturer the Citroën line-up includes the 2015 and 2016 International Engine of the Year the Turbo PureTech petrol, alongside the latest generation BlueHDi Diesel engines. For information on our franchise and open points please contact Kieran Courtney directly at the following email address Kieran.courtney@citroen.ie .